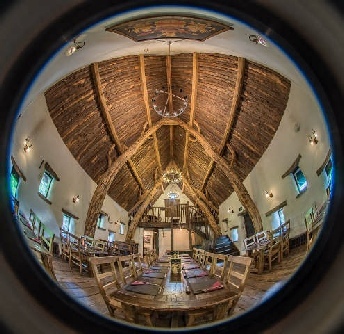 The Cruck Barn at the back of the pub is open for dinners, parties, & functions of all kinds, including music concerts, weddings & even ferret racing! 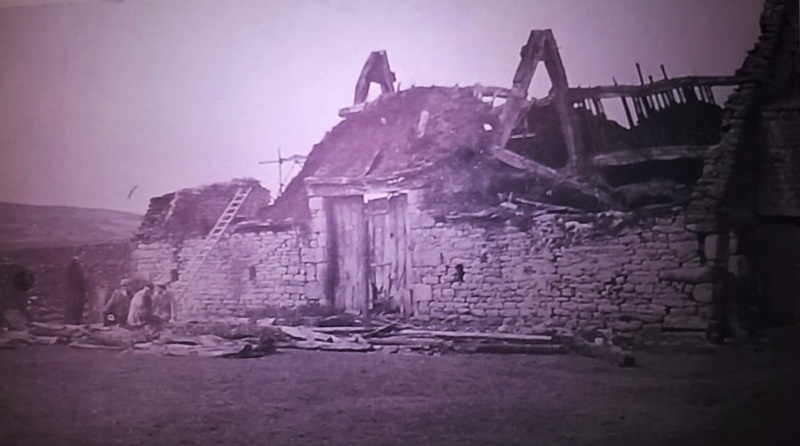 The first of its kind to be built since the times Of Henry the VIII, these cruck framed buildings were once a common sight in the dales but now only a few still stand. Using detail from the remaining few, it was constructed in 2006, using traditional methods & materials. Originally their purpose was a farm building used to house livestock & hold animal feed. The cattle would shelter in the “Mo” or ground floor & their feed would be stored up on the “baulks” or balcony. 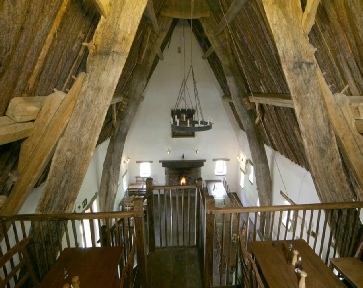 The 7 metre high roof of oak trusswork, sheeps wool insulation & a heather thatch, are all sourced locally. The walls are from stone found on site pointed with lime mortar & plastered using a traditional lime, river sand & horse hair mix. Finished with a lime wash as was used in barns & stables years ago. The timber for the green oak A frames was sourced from nearby Bolton Abbey & Broughton Hall. 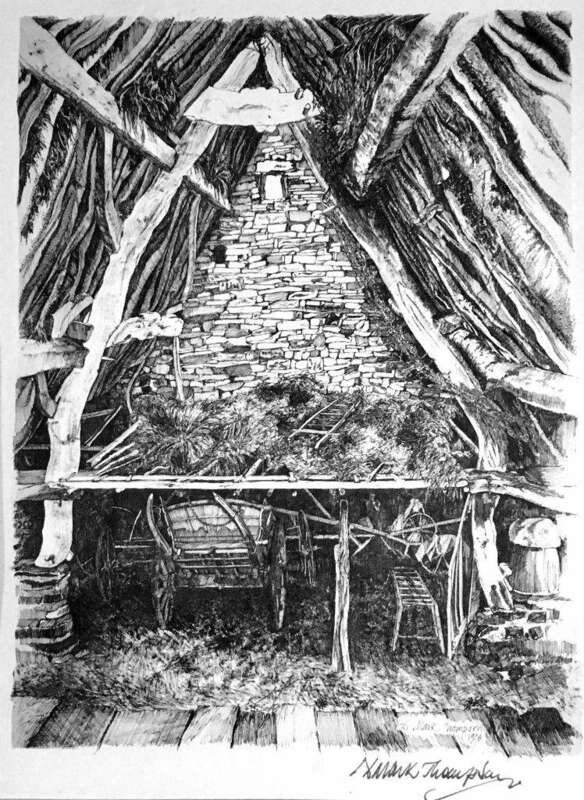 The bent oak trees were split & opened out to form the distinctive A frame (or the Crucks). 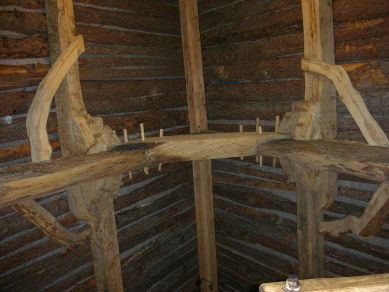 The whole of the roof rests on these, with very little weight on the walls. 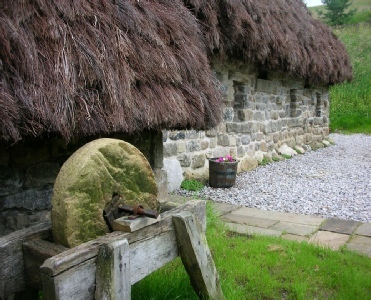 The heather thatched roof was once common in this area before the time of stone slates & transportation & the steep pitch of the roof is to assist in the weather proofing of the heather. Now a very rare sight. 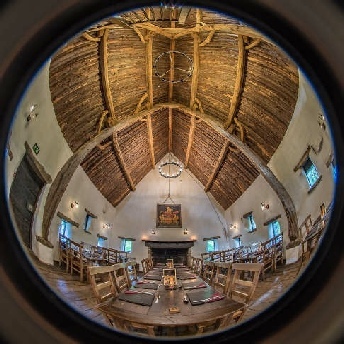 Joining the back of the Craven Arms, the barn continues the pubs farmhouse heritage and serves as an extension of the pubs services as a restaurant, party & event venue. With central heating, sheeps wool insulation & a huge real fire, working gas lamps & the dramatic roof, a visit to the Cruck Barn is hard to match. 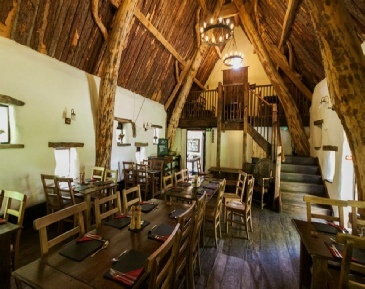 To book a table or enquire about an event call us or email at info@craven-cruckbarn.co.uk. 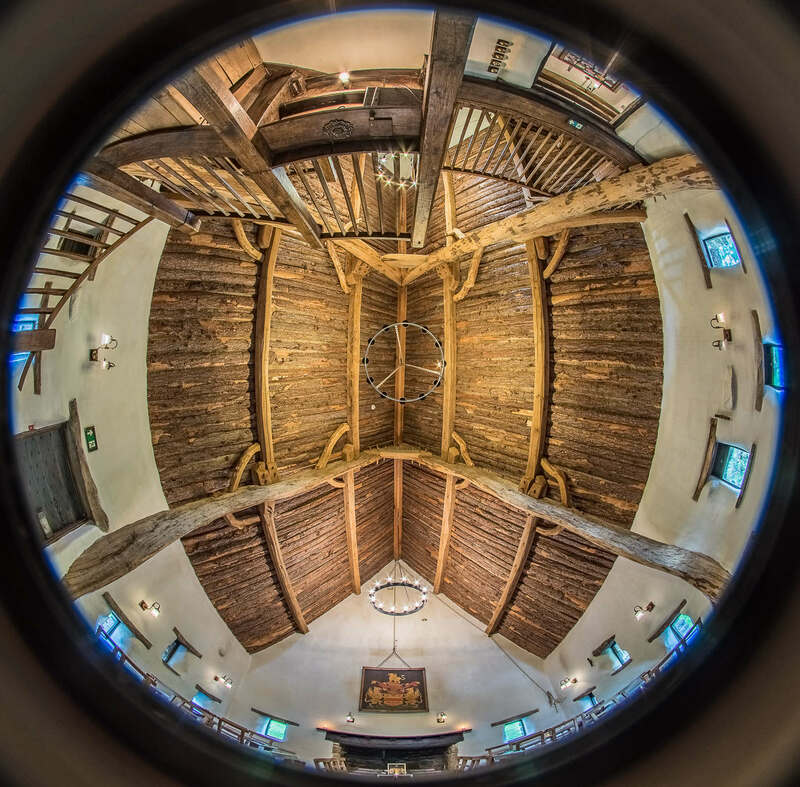 The barn is always open for a look round so if your just passing, feel free to call & have a look. 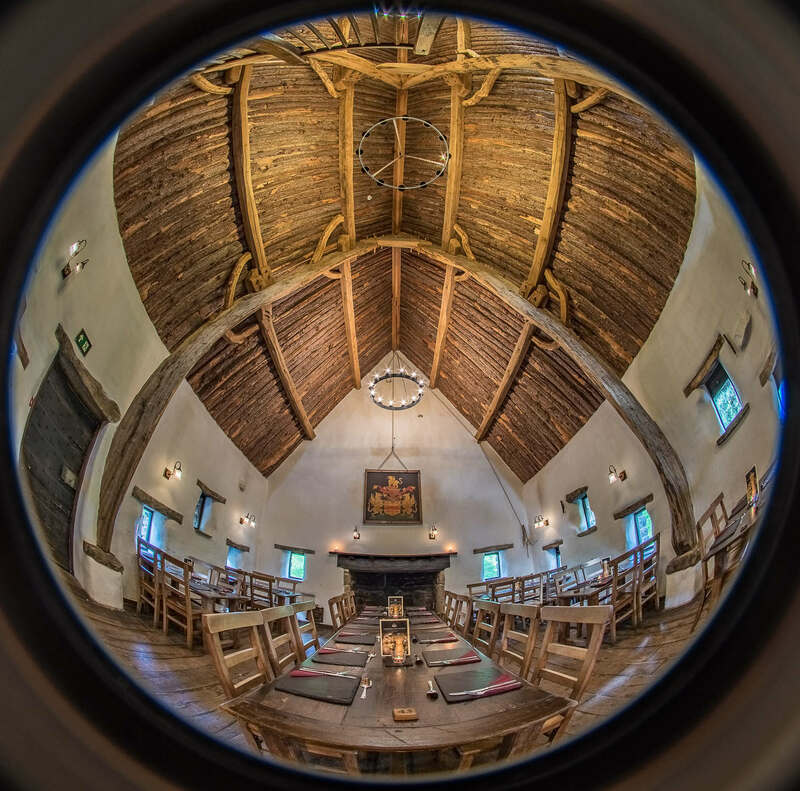 The large open inglenook fire place, local oak tables & floor boards add to the traditional atmosphere and make for memorable setting for your dinner, party or event. 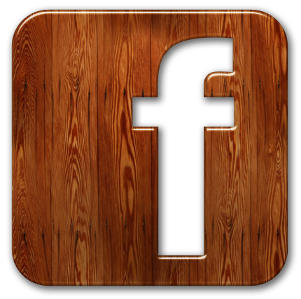 Popular for weddings, parties or a meal out you can be sure of a unique visit. Couple this with some of Yorkshires best food & real ale & there is always the rest of the pub to explore!